While many people may be confused by terms like “Krautrock,” “floating music” or “kosmische,” I believe that the music coming out of Germany in the 1960’s was genre defiant. There are many different terms to help organize them into one place for deep listeners, however. For instance, when I hear the word “kosmische” (or cosmic), I think of mind-expanding space visuals, LSD, psychedelia and even extraterrestrial mystery or unknown feelings, places, thoughts etc. 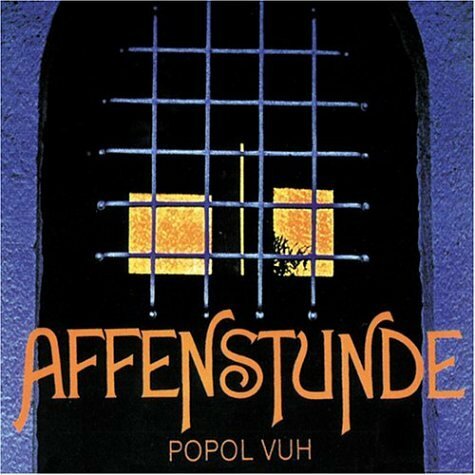 For me, Affenstunde may be the most important record by Popol Vuh. (They have a very extensive and fantastic discography.) Many consider this to be the first Krautrock album using synthesizers. Although the album does not “rock” in any sense, it has rhythmic percussion interlaced with intense analog synthesizers. 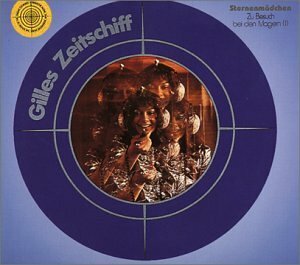 “The big Moog” (aka Moog III) used on this record later went to Klaus Schulze when Florian Fricke decided to abandon using electronic instruments for his first musical love–the piano. However, the first two Popol Vuh albums (Affenstunde and In Den Garten Pharoahs) have mind-altering electronics and glittery space synthesizers that have forever changed electronic music. This record is a MENTAL excursion into unknown synthesizer territory, a double LP of dark, rolling synthesizers damn near 80 minutes in length. The first track (“Birth of Liquid Pleiads”) features Florian Fricke of Popol Vuh on Moog synthesizer. for me, this is one of the most intense moments ever caught on vinyl for the analog synthesizer–insane textures morphing in and out of territory unknown. Very minimal and sparse, almost like the sound of a distant highway from far away, or even the sounds you hear in your head when you imagine perfect silence. Tangerine Dream was a project that changed so many times in its lifetime that they could have used three different names for that band. 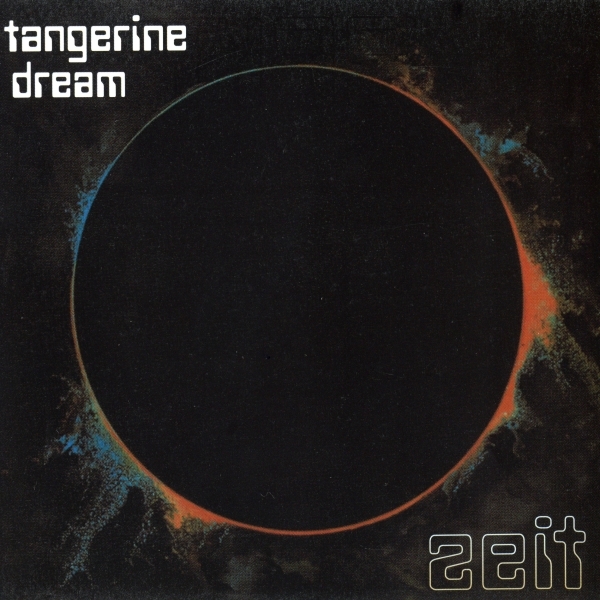 It’s worth the time to check out as much Tangerine Dream material as possible! Conrad Schnitzler is in his own world. After leaving Kluster (who later went on to become “Cluster,” one of the most killer projects EVER) Conrad explored deep infinity with synthesizer music. Menacing, paranoid rhythms start to interlace with sequencers, swelling in and out of a cold and watery soundscape. The B-side (“Jupiter”) is less paranoid but equally hectic. Schnitzler–a very reclusive artist–released his records privately in the ’70s, but they were bootlegged again in the early ’00s in very scant quantities. The use of analog sequencers in his work is very forward thinking. Though he later went on to use more rhythm-based structures paired with aligned sequencing, this recording is a bit more abstract. 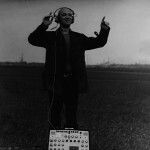 Many of the kosmische records made in the ’70s involved the same names in one way or another–Klaus Schulze, Manuel Gottsching, and a few others. Killer acid parties led to a few recording sessions at a studio that belonged to a fellow named Dieter Dirks. A man named Rolf-Ulrich Kaiser arranged for these sessions to go down and provided cosmic drugs and good vibrations for these sessions to take place. Gottsching, Schulze, Harold Grosskopf (of Wallenstein) were just a few of the guys caught jamming on these LPs. What you are left with is completely fucked up, horrific, mind bending minimal synthesizer music that was collaged together with Kaisers’ girlfriend, Gille Lettmann (hence “Gilles” Zeitschiff), tripping her head off doing spoken word over the fragmented pieces. These records were illegally produced and distributed by Kaiser and Dirks, which eventually led to them leaving Germany and the collapse of the Cosmic Couriers imprint. Manual Gottsching and Klaus Schulze both pursued legal action against these guys because the sessions were never intended for release. It is unfortunate that they never saw wider release because if you consider the conditions of the musicians during these sessions and the way the recordings turned out and aged over the last decades, you’d be surprised at how great they actually turned out. Truly experimental, cosmic and intoxicated. Some of the best synthesizer music out there. While everybody will tell you that records like Moondawn and Timewind are the best Schulze records, hear me out! 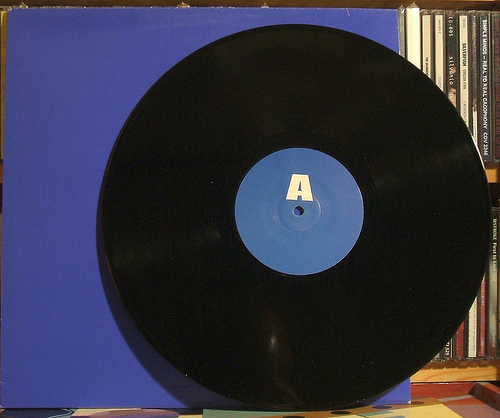 Cyborg is a double LP that followed the amazing and legendary Irrilicht. 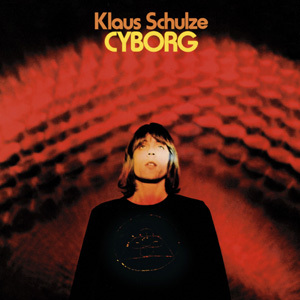 Before Klaus Schulze dove head first into synthesizer music, he was processing stringed instruments to the point where they sounded like the total lazer drone zone. Incredible. With Cyborg, the same type of ideas with processed strings are present, but now with EMS syntheszier as well. It’s one of the most famous early synthesizers and is capable of producing a vast amount of sounds. To this day, the instrument has not been unlocked completely as its possibilities are infinite. On Cyborg, we have floating, eerie, melancholic sounds that drift along with windy filter sweeps and bottomless bass soundscapes. Almost seems like the soundtrack to a dream. 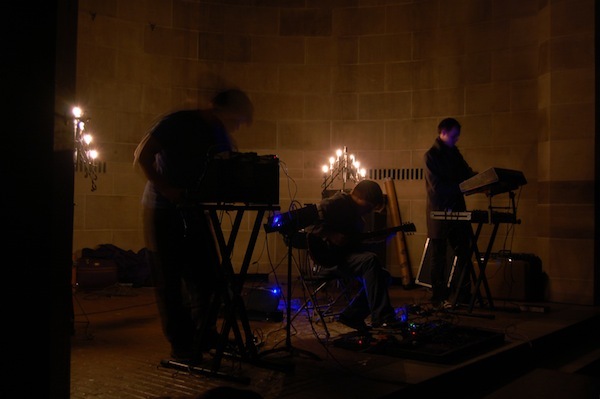 Very long–over an hour–and a true adventure into electronic space.